In a long post on Instagram, the actor wrote that he is giving away his award for a better reason. 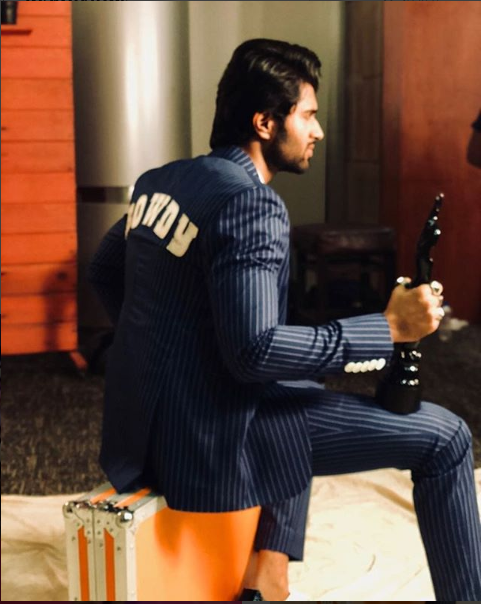 Actor Vijay Deverakonda is winning hearts with his recent gesture of auctioning his maiden Filmfare Award and donate the money towards the Chief Minister’s Relief Fund (CMRF). Vijay Devarakonda has been nominated alongside the likes of Chiranjeevi, Balakrishna, Venkatesh, Prabhas and NTR Jr in the Best Actor category in the 65th Filmfare Awards (South). It was a proud moment for the actor winning Tollywood Best Actor award in front of such biggies. Sai, your tweet made my day. Jokes apart, we need to appreciate the noble intention behind Vijay bhai's initiative. Hearty congratulations and your fan base increased by one more(me) today. I have seen two real hero's nowadays. One is Vishal he is decided to help formers & you helping unhealthy people's. Really Hats off both of you. Though I am little upset over NTR not getting an award….I feel good now. First of all….this Vijay Deverakonda doesn’t deserve the Best Actor award. This award should have been given to Prabhas for his flawless & powerful performance in Bahubali2. Vijay may have acted well….but nothing in comparison to Prabhas’s amazing portrayal of Amarendra & Mahendra Bahubali..